The Year of the Pig kicks off on Chinese New Year, February 5, and as the pig is symbolic of wealth, luck, honesty, good fortune, generosity and indulgence, it’s destined to be a favourable one. The highly anticipated Chinese New Year will be celebrated by 1.4 billion people worldwide on February 5 at the turn of the new moon. The last of the 12 Chinese zodiacs – the pig – will take the reins from the dog. To mark the extravagant occasion, here are five special designer pieces including limited editions, adorned in red and gold to symbolise a year of luck and prosperity. 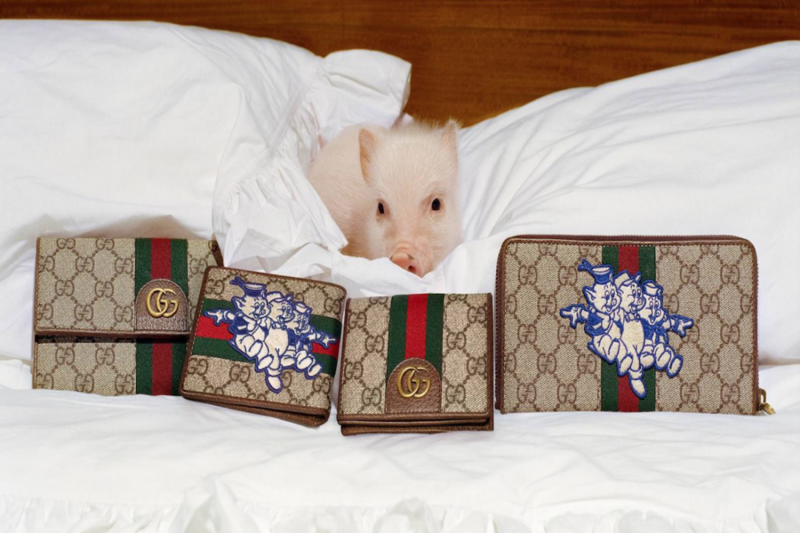 Celebrate the Year of the Pig with whimsical Gucci totes featuring icons from Disney’s Three Little Pigs. 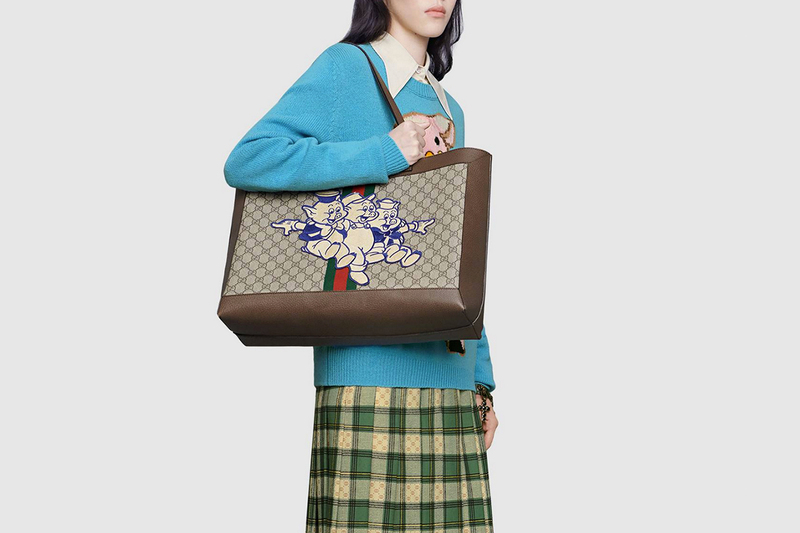 Brought back from the archives, the design reinterprets the nostalgic characters in playful patches, paired with the iconic double G, and antique gold-toned and leather details. 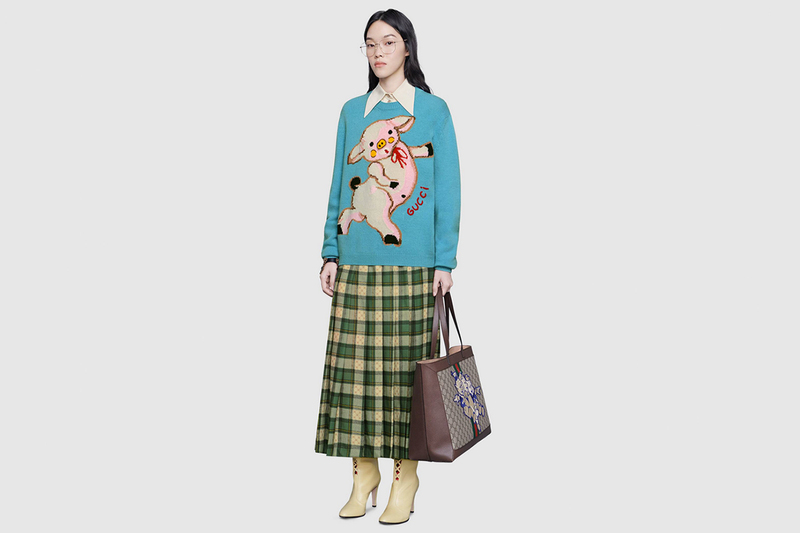 The collaboration between Disney and Gucci doesn’t stop there. 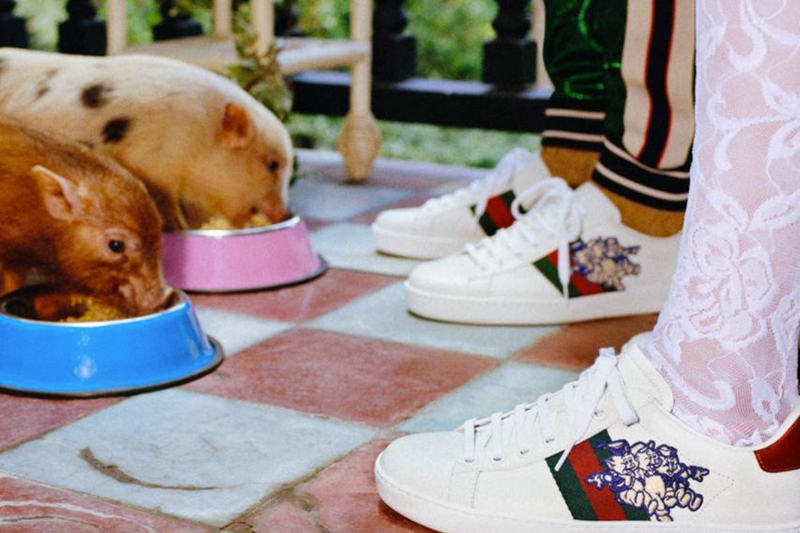 Festive Italian-made ace sneakers embossed with Three Little Pigs and the designer’s symbolic red and green stripe or the blue woollen sweater boasting a giant piglet will also stun this Lunar New Year. With a quaint zodiac treasure by Chopard to mark the start of the 2019 Chinese New Year, it’s destined to be a treat. 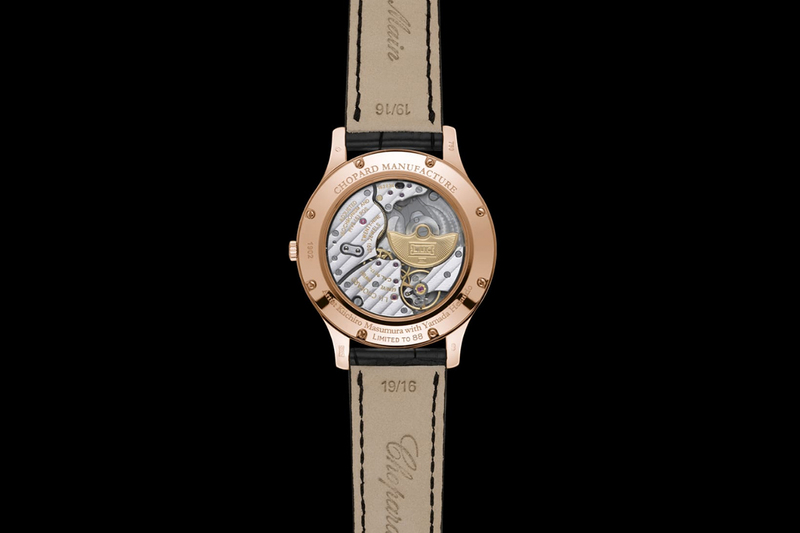 The Swiss jeweller has created just 88 of the limited edition L.U.C. 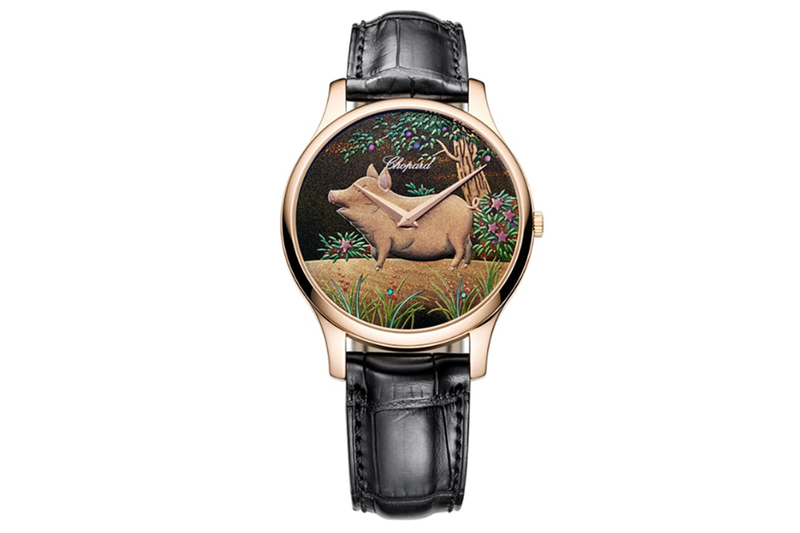 XP Urushi Year of the Pig timepieces with the ancestral Japanese art of Urushi. One of the 12 Chinese zodiac signs, a golden pig – which is regarded as generous, perspicacious and fun-loving – lends itself to the sophisticated handcrafted timepiece driven by an ultra-thin L.U.C movement. Representing optimism and honesty, Swarovski’s crystal Chinese zodiac is an ideal way to ring in the Lunar New Year. 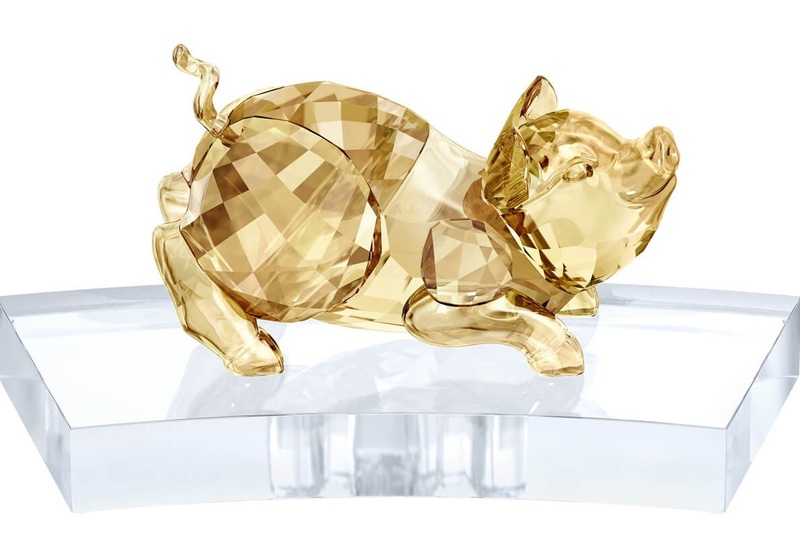 Created from 698 facets of golden crystal, the pig zodiac cheekily sits on a curved clear crystal base inspired by the shape of Huang Jade fans seen in Chinese art. The figurine is one of 12 Chinese zodiac pieces which can lock together to form a circle symbolising the endless cycle of life. Or perhaps treat yourself this new year with a pair of crystal dancing lion sculptures – symbolic of an ancient Chinese tradition thought to bring good luck. No matter the occasion, there’s always a place for Coach’s Lunar New Year pig motif tote bag. The canvas bag is decorated with an adorable retro-style pig print inspired by the spirit of America’s Southwest. 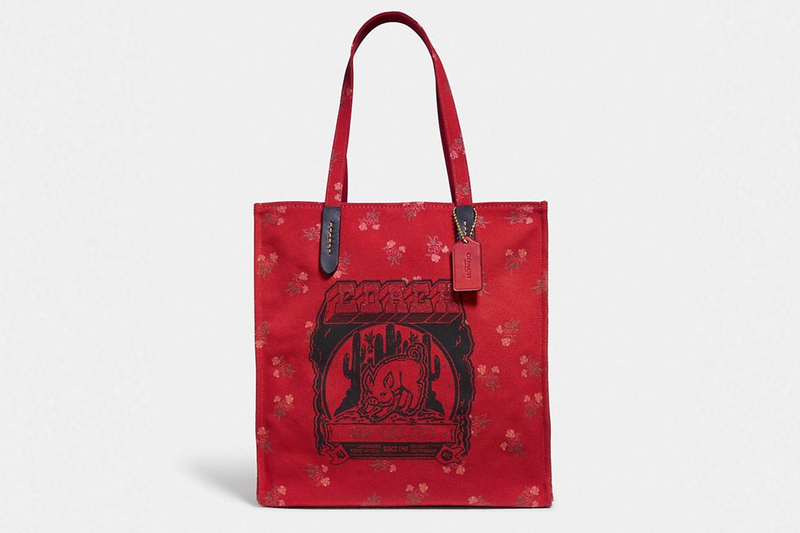 The striking red hue symbolises luck, happiness and good fortune and the tote is complete with a nostalgic floral bow motif. If that’s not enough, add on Coach’s plated brass pig keyring shimmering in Swarovski crystals for an ultra-glamourous touch. 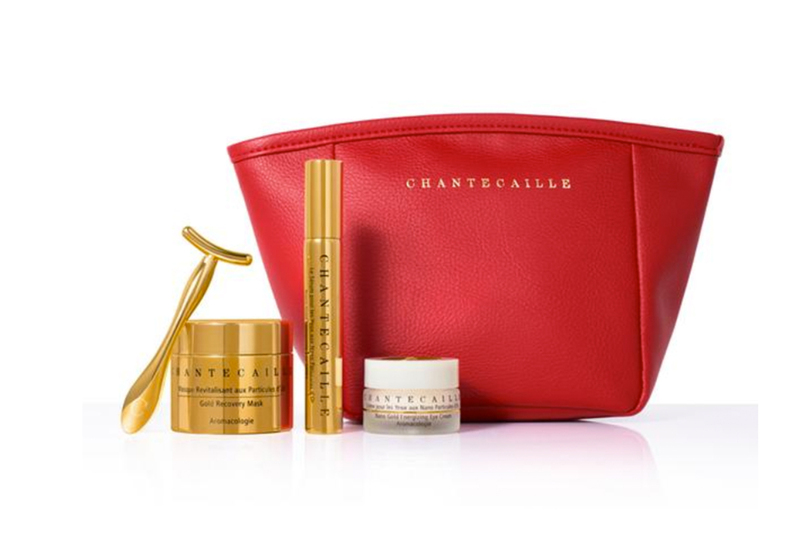 Glow into the new year with radiant skin thanks to Chantecaille’s Golden Lunar New Year Set boasting an infusion of 24-karat gold and botanical ingredients. Indulge in the Nano Gold Energising Eye Cream, Gold Recovery Mask, Nano Gold Energising Eye Serum and finish up with the eye-brightening tool for a visibly luminous shine. The cruelty-free luxury skincare brand offers a cocktail of peptides and innovative botanicals that work to renew and refresh dull skin.